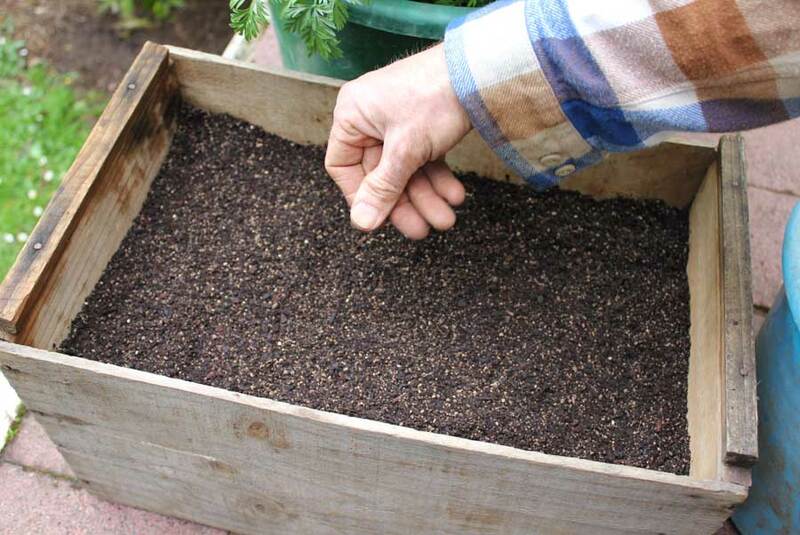 Sowing seeds directly into containers where they are to grow and mature is a great way of growing a wide range of food plants. 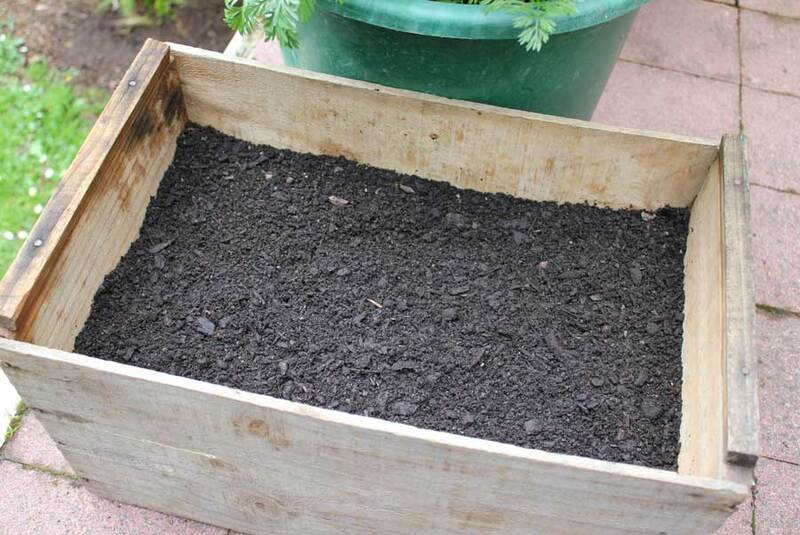 Containers make gardening possible in gardens where there is very poor soil or no soil at all. 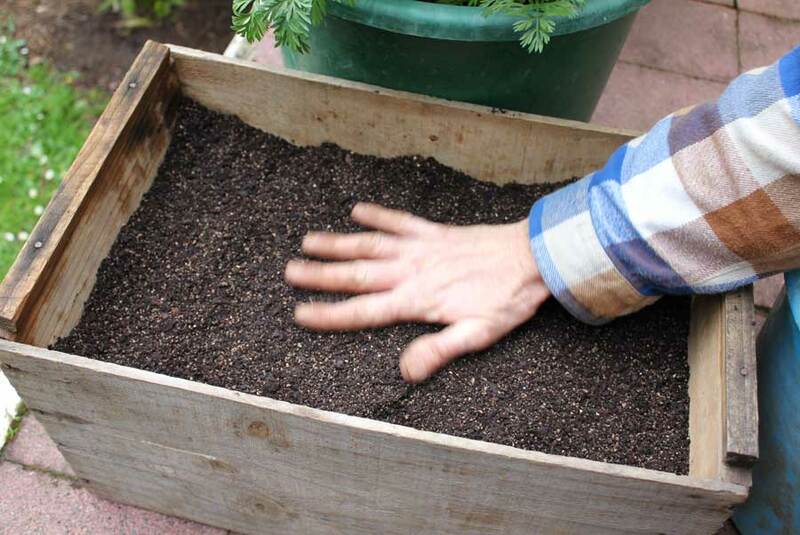 Container growing can also be a very easy and low maintenance way to grow if you are busy or simply don’t want to get into digging up your garden yet. 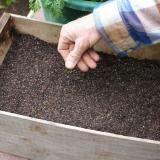 A pot, tub – even a bucket or an old wooden box can be a very productive place in which to sow and grow. 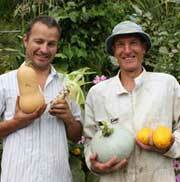 From sowing to harvest there is no physical interruption to the growing process. 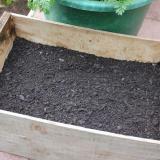 This suits a range of crops – especially root vegetables such as carrots, beetroot, parsnips and turnips whose seedlings – with fledgling tap roots - can easily be damaged if they are transplanted into the garden from punnets or trays. 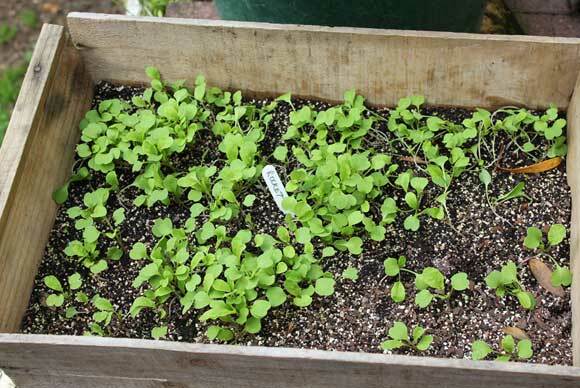 Containers make it easier to grow winter crops of rocket, mizuna, lettuces, coriander and parsley somewhere close to a door where they can easily be accessed for a handy harvest even in the worst of the weather. 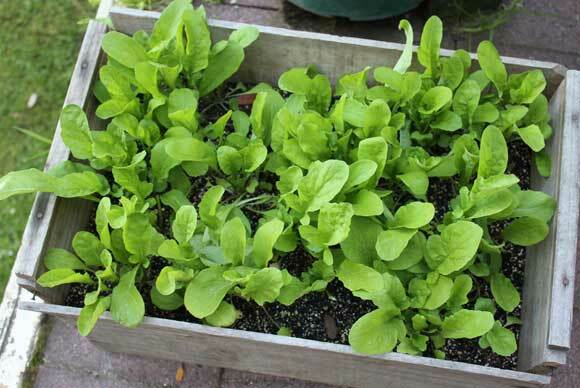 Plants in containers are also a little easier to protect from hungry slugs that seem to thrive in wetter weather. 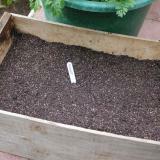 In summer months containers can be moved into sun or shade to suit the needs of the plants you are growing in them. 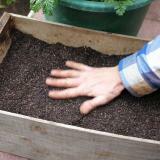 Plants with small seeds are sown in patches or rows – depending on the size and shape of container - and seedlings are thinned as they grow to provide adequate space for mature, productive plants. 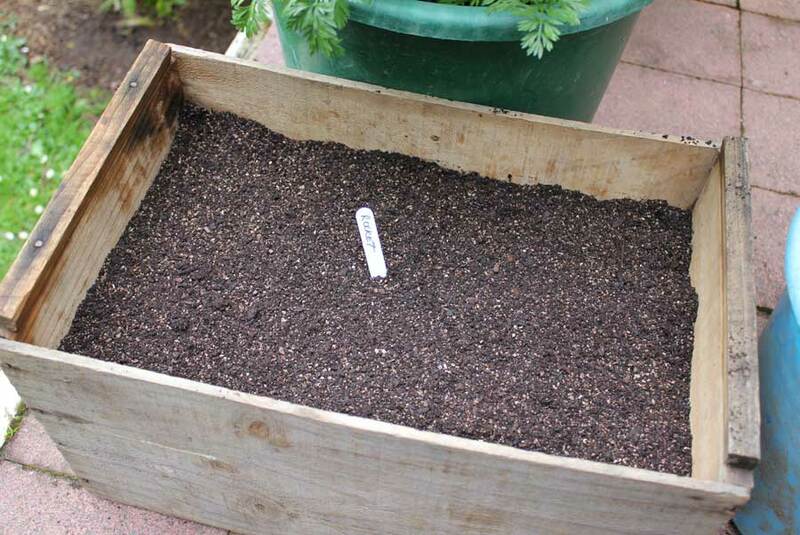 Plants like dwarf beans with larger seeds are usually sown two or three seeds to a hole and the strongest seedling is selected once they have sprouted and have formed leaves. The weaker seedlings are pinched out. 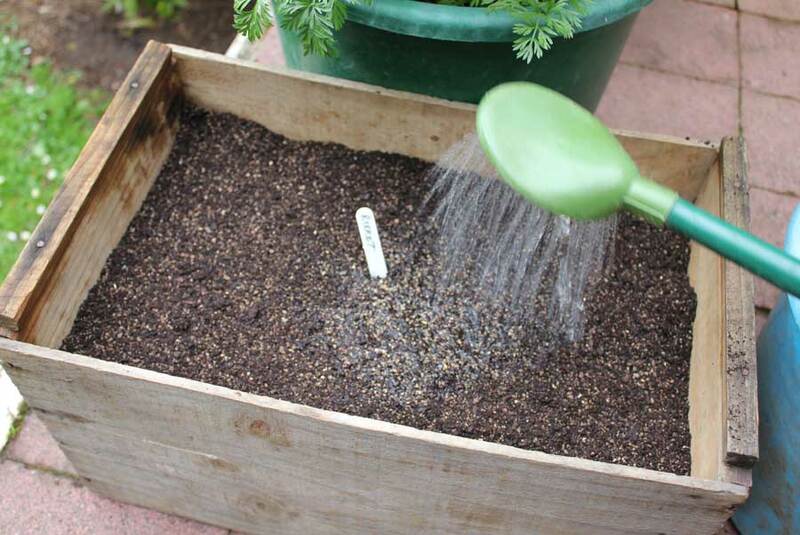 It pays to keep a daily eye on your containers – especially in summer when hot dry days make watering critical to prevent shallow-rooted seedlings from keeling over. Shade cloches can be used to reduce dehydration and in winter plastic cloches can help to hold in warmth and keep out winter deluges. 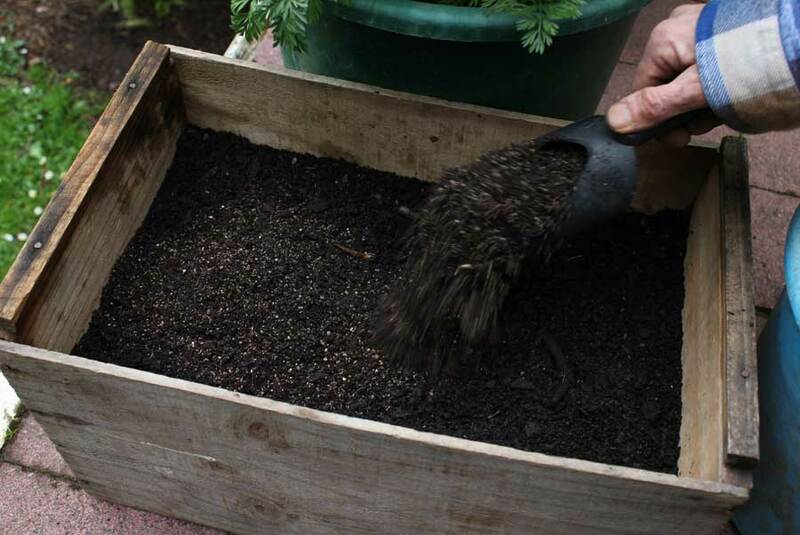 If you are growing hungry plants like cucumbers, capsicums, aubergines and tomaotes in containers then you’ll almost certainly need to give the compost in your containers a regular boost of liquid feed and a layer of mulch to help hold in moisture. See individual plant pages for more details. 4. Sprinkle seeds across surface. 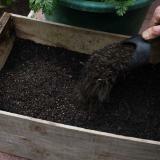 Add a little more compost. 7. 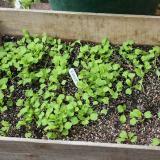 Seedlings are ready for thinning when they have two pairs of leaves. 8. 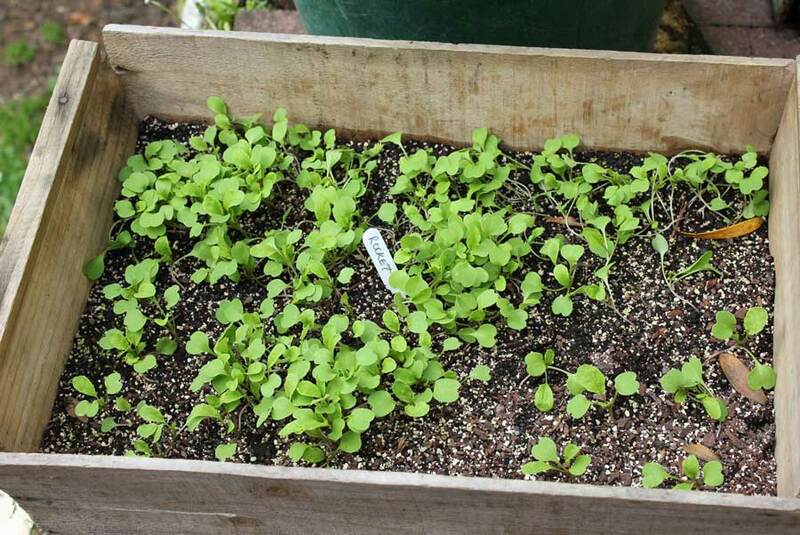 If sowing small seeds, thin when seedlings have a couple of pairs of leaves. 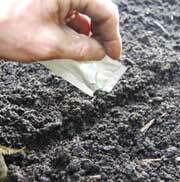 Brush a thin layer of soil across seeds so they are buried at the recommended depth. 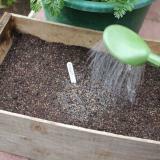 Using rose attachment on watering can, water seedlings to stimulate germination and ensure good contact with soil.